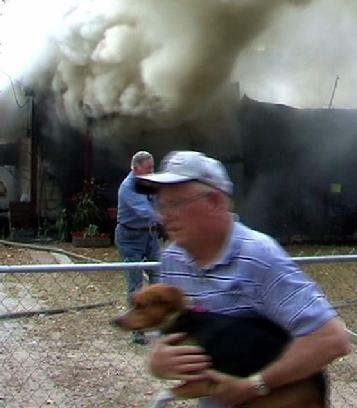 A volunteer carries a dog to safety. Fire Totals Home in Goodrich, GOODRICH, November 1, 2010 - Shortly before 11 am on November 1, 2010, a house fire was reported from Goodrich. Firemen from the Goodrich Volunteer Fire Department arrived to find the home at 156 Fredricksburg in the subdivision of Shiloh Ridge fully involved. The owners, Rita and Charles Welsh, were not home when the fire broke out. Additionally, the Livingston Volunteer Fire Department was dispatched along with Americare Ambulance Service and Corporal Terri Mayer with the Polk County Sheriff's Office. Firemen had the fire out within 20 minutes. A neighbor who witnessed the fire told PolkCountyToday.com that the fire appeared to have originated in the kitchen area and quickly spread to the front of the house. Once the fire was completely doused, the home appeared completely totaled. 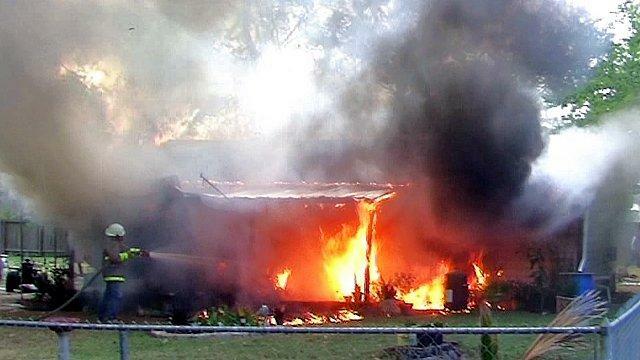 The home was not insured. An investigation is underway by Polk County Fire Marshall, Jay Barbee. 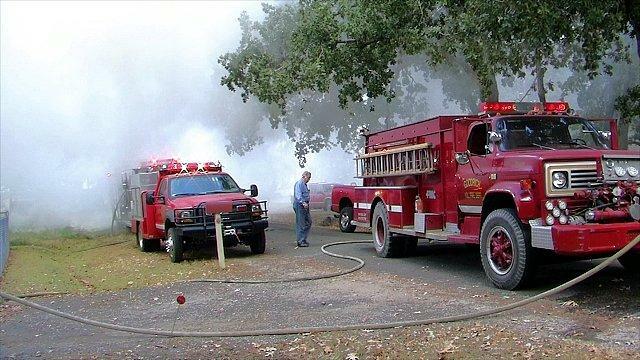 The home was fully involved when the Goodrich Fire Department arrived. 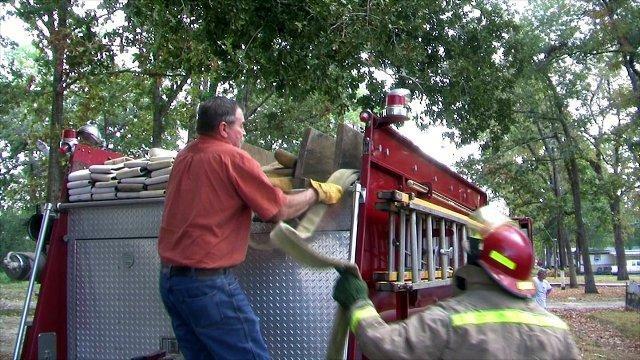 Goodrich Fire Chief Ken Hambrick (left) pulls hose off a truck as fast as he can. 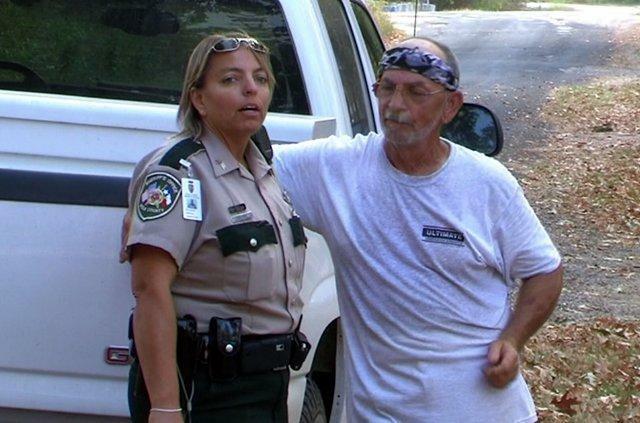 Corporal Terri Mayer with the Polk County Sheriff's Office initiated an investigation. Once the fire was out, the backside of the house revealed where fire burned a hole through the roof. The interior of the home appeared to be totaled.